Stroll~N~Move is a community group and ministry geared toward encouraging women and children in their exercise endeavors. 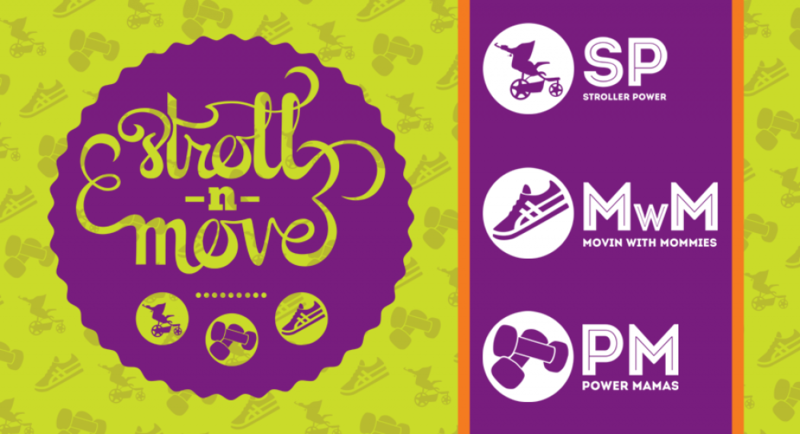 Stroll~N~Move offers a variety of classes to suit every lady’s needs! Stroller Power (SP) is a stroller fitness group that meets during the spring and fall months. Interval-training and distance training classes are offered through this group! Power Mamas (PM) is a womens-only boot camp class offered in the evening during the summer. PM is a high-intensity class where moms are motivated to push themselves. All fitness abilities are welcome! This class will return in summer of 2017. NEW!!! MOVE is an indoor tabata training (interval workout focusing on different exercises for 20 seconds on/10 seconds rest, for a total of 8 rounds or 4 minutes) class held at The Sports Academy in Glen Carbon, IL. Women exercise while kids play on the field. ***Partnering with Elite FT, children have the option to participate in indoor soccer with Wednesday Morning Soccer class while ladies MOVE! Please browse the blog to find more information on what Stroll~N~Move offers and be sure to fill out the Contact form if you are interested in getting involved in these uplifting classes!